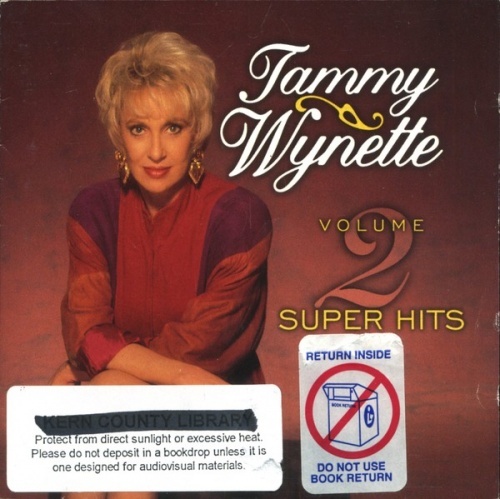 Tammy Wynette's best-known songs, "Stand by Your Man" and "D-I-V-O-R-C-E," were included on her first Super Hits collection in 1996, but since she scored 20 number one country hits and the Super Hits albums only have ten tracks, there were obviously many more selections for Volume 2. In fact, eight of the songs here topped the country charts, the most successful of them being "He Loves Me All the Way." The two nonchart-toppers are "Apartment No. 9," Wynette's first record, and "Your Good Girl's Gonna Go Bad," her first Top Ten hit.